New LoRa reference design extends LoRaWAN™ network coverage to hard-to-reach indoor areas enabling IoT deployment scalability. Semtech Corporation today announced the availability of its new LoRa multi-band picocell reference design for a variety of indoor applications. Leading consumer and enterprise equipment manufacturers are currently testing the LoRa picocell reference design, using Semtech’s new SX1308 picocell gateway IC coupled with a SX1255 or SX1257 LoRa® RF transceiver, and are expected to help bring low cost LoRaWAN networks to market for consumers and private enterprises. The LoRa picocell gateway will be branded and sold by the equipment manufacturers and is expected to be available by mid-January 2017. 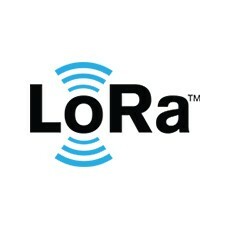 The LoRa picocell reference design provides equipment manufacturers the critical tools to test Internet of Things (IoT) applications for private use and is expected to help accelerate adoption of IoT technology into next-generation smart applications, such as smart appliances, smart thermostats, door/window monitors, and other equipment used in-home by consumers, and meters, security systems and inventory management systems for small businesses. 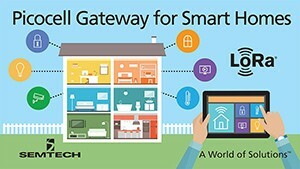 “This new LoRa picocell gateway complements the robust LoRaWAN infrastructure by providing a low cost, easily adoptable IoT platform for use in homes, small businesses and buildings,” said Vivek Mohan, Director of Wireless Products for Semtech’s Wireless and Sensing Products Group. Semtech’s LoRa picocell reference design offers a USB interface for low power gateway designs and connects thousands of sensors in a building or residential community within a range of one mile for outdoor sensor connectivity. It can simultaneously receive LoRa and FSK messages on multiple channels with an excellent -139dBm sensitivity. The SX1308 is designed to be footprint compatible with the SX1301 data concentrator to simplify the gateway design effort and to support an operating temperature range of 0-70 Celsius. The LoRaWAN picocell network will interoperate with any surrounding LoRaWAN infrastructure and complement existing WiFi networks for cloud connectivity. Selling pricing for the LoRa picocell gateway through equipment manufacturers is expected to be less than $100 for fully certified products. Semtech is a member of the LoRa Alliance™, a group of more than 400 companies committed to driving and enhancing the LoRaWAN specification to ensure interoperability and scalability of LPWANs and IoT applications. Through its work with member companies and IoT industry groups, the LoRa Alliance is making LoRaWAN the standard for LPWANs focused on low-power, long-range IoT applications. To date, there are LoRaWAN public and private networks in more than 50 countries worldwide.